The Keys of Hope Program is not accepting piano donations at this time and we appreciate your desire to share your blessing. Your "donation" options are somewhat limited to Craigslist and Facebook Market Place as many not-for-profit organizations are no longer accepting piano donations. Please do not contact schools, churches and/or nursing homes. 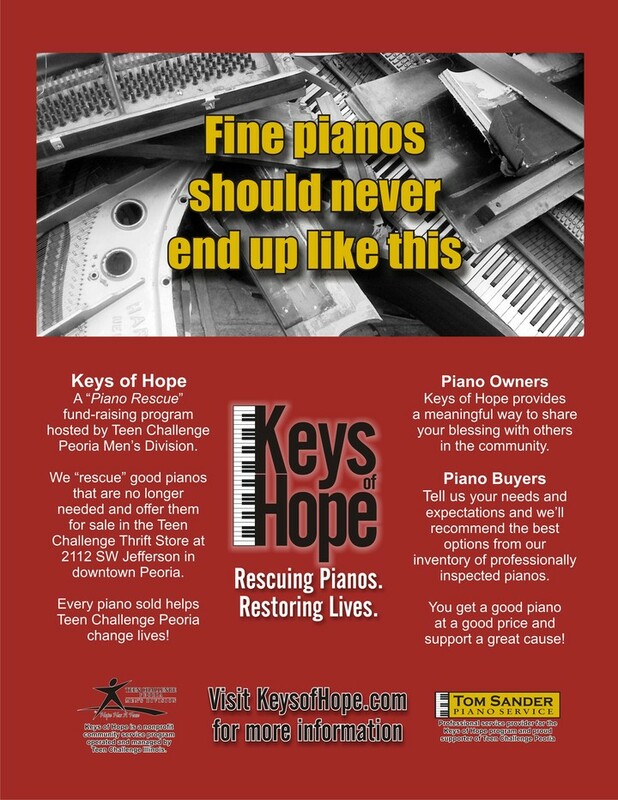 If you want to donate a high quality, name brand piano such as Yamaha, Kawai, Steinway, Mason & Hamilin, Boston or Essex to name a few, please send me an email at tom@sanderpianoservice.com. Please include the piano brand, its age and service history in the body of your message and I will try to respond as quickly as possible to provide you with advice on how to properly donate your piano. Click here to view a PDF of this file. © 2014 Tom Sander Piano Service, Inc.